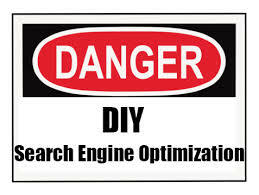 DO IT YOURSELF SEO I have seen many business owners especially those with a wordpress site attempt to do seo on their own. Many have indeed built a quality site that has the “POTENTIAL” to rank high. There is no not convincing them that all they have to do is install and activate the Yoast SEO plugin and they are good to go. It doesn’t work that way especially for more complex and commercial wordpress sites. WordPress, the search engines, and seo are rapidly changing. Google doesn’t care what plugins you chose to install. When the google “bots” crawl a site all they are looking for is content and code. They look for quality relevant content, a sitemap, index files, keywords, description, a title, do follow or no follow tags, links etc. We have seen companies ride the seo fence for years and they just can’t commit to an seo course of action. We have even have companies approach us for a second time 1-3 years later not realizing we have already given them a proposal. Most successful companies hire a professional seo pro in-house or hire an seo company, or pro seo free-lancer on a regular basis. The bottom line for procuring business from search engine results is that you have to out due your competition. We at West LA SEO can get you to the top of Google search results like we have done for ourselves. Real professional seo is very complex and takes very specialized knowledge and experience. We believe we can get you to the top of search results for the keywords that matter to your business.